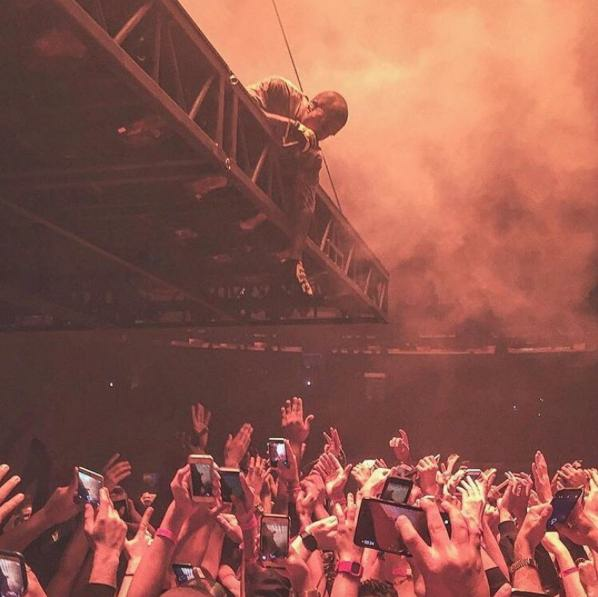 Yeezy is facing a huge legal battle over his cancelled tour. Kanye West is suing insurance company Lloyd’s Of London for $10 million after it allegedly refused to pay out over his controversial cancelled ‘Saint Pablo’ tour last year. The ‘Famous’ rapper cancelled the tour after launching into a vicious rant about JAY-Z and Beyonce on stage in Sacramento – cutting his set short after only 30 minutes on stage. He later spent eight days in hospital after reportedly suffering from “temporary psychosis”. However according to The Hollywood Reporter, Kanye West has filed a lawsuit for $10 million against Lloyd’s Of London and various entities, for allegedly breaching contract, as well as a breach of good faith and fair dealing. According to the lawsuit, the insurers claimed “that they may deny coverage of the claim on the unsupportable contention that use of marijuana by Kanye caused the medical condition”. There are also suggestions that the insurance company didn’t believe the validity of Kanye’s ill mental health and demanded an “independent medical examination” as well as examinations under oath, which were obtained. The rapper’s lawyer, Howard King, has released a statement suggesting that this is a lesson for all artists. “Performing artists who pay handsomely to insurance companies within the Lloyd’s of London marketplace to obtain show tour ‘non-appearance or cancellation’ insurance should take note of the lesson to be learned from this lawsuit: Lloyd’s companies enjoy collecting bounteous premiums; they don’t enjoy paying claims, no matter how legitimate,” he said in a statement.